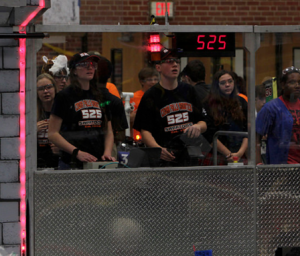 FIRST Robotics Competition Team 525, Swartdogs, had a very fun and productive month of October. While the majority of the month was spent preparing for an off-season competition, we worked on some other cool things, too. Since receiving a 3-D printer from Weistek at the China Robotics Challenge in August, we have been learning to print items using it. After multiple tries, we finally printed a cube. 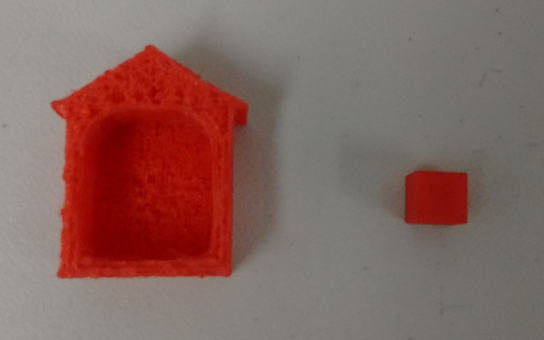 We have also tried printing other small objects, including a mini doghouse. 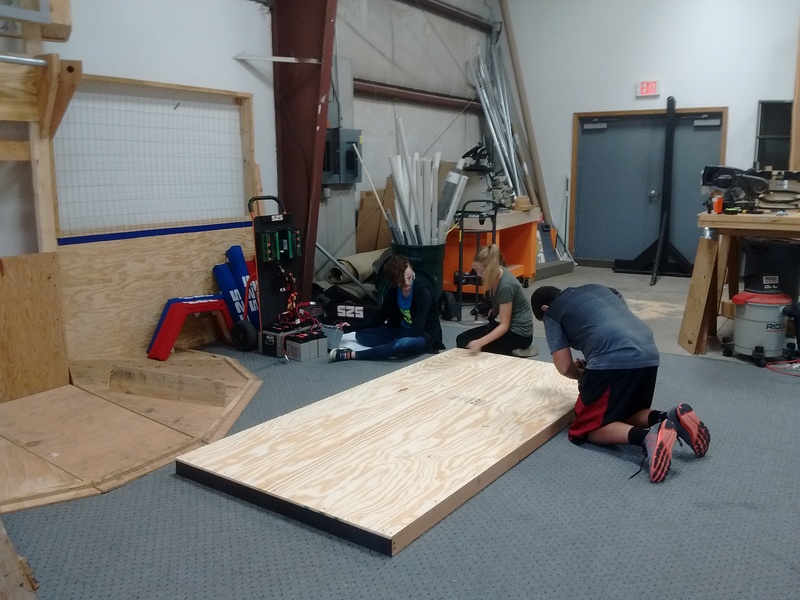 Another project that we worked on in October was building competition tables for FIRST LEGO League (FLL) events. These wooden tables will be used for FLL teams to run robots on during the competitions. We built the tables for a FLL scrimmage in Waterloo in November. These tables will also be reused in the future when needed. We ended the month by attending an off-season competition, the CowTown Throwdown. 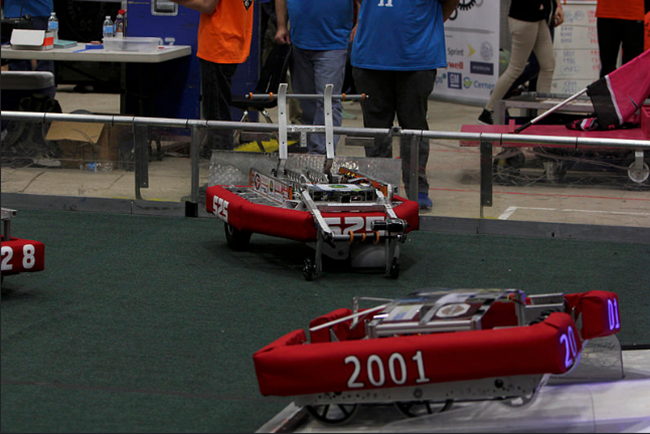 This event was held in Lee’s Summit, Missouri, and hosted by team 1730, Team Driven. Before the competition, we spent time preparing. These important jobs included drive team practice, drive team tryouts, reviewing the rules, learning how to scout, discovering what to expect at the competition, and working on the robot. By competing at this competition, new members had the opportunity to experience a regional event on a smaller scale. Returning members also had the opportunity to try new roles. Overall, it was a great learning experience for all members and a lot of fun. As for how the actual competition went, we did extremely well. 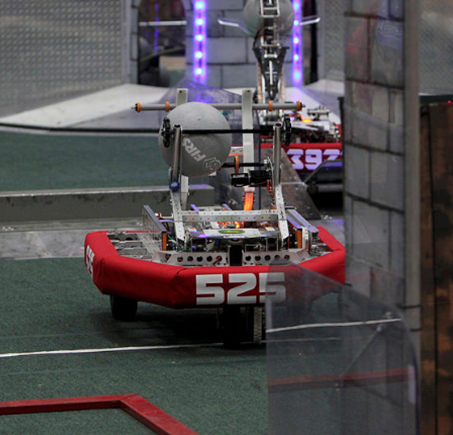 While the robot did not always work the best, we had a record of 4-5-0 and were ranked 22 out of 50 teams. 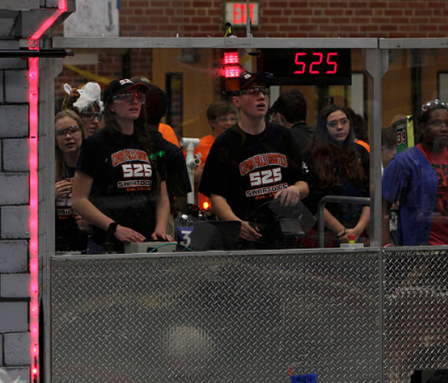 During alliance selection, we were the first pick by the second ranked team 3284 Camdenton 4-H Laser. We were joined by teams 1094 Channel Cats and 1108 Panther Robotics. We advanced to the finals after winning the semifinals and quarterfinals. 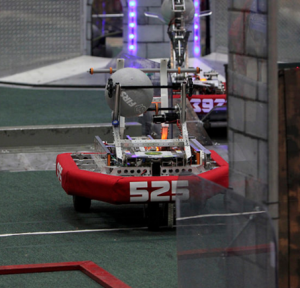 During the finals, we were against the number one ranked alliance which included team captain team 1986, Team Titanium and teams 1987 Broncobots, 4329 Lutheran Roboteers, and 5006 Apophis. We lost the first match, but won the second match. As a result, the CowTown title came down to the third match. Overall, we had a great match but came up short, losing the match by five points. We still had a great day and a lot of fun. We want to give a huge congratulations to teams 1986, 1987, 4329, and 5006. They played amazing, and we think that they did a great job. We also want to give a huge thanks to the teams who nominated us and the event volunteers for recognizing us with the “Driven to Succeed” Award. This award specifically recognizes a team’s overall effort in the competition. 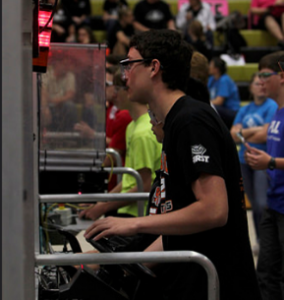 It is awarded based the robot design and how the team shows effort and gracious professionalism. Overall, we had a wonderful weekend and a lot of fun. And now with our final Stronghold competition complete and the month of January drawing closer, we can’t wait to discover what FIRST STEAMworks will bring for our team.